America is in the middle of a measles outbreak, thanks to the growing number of parents who are not willing to have their children vaccinated. News of the outbreak reached London, where reporters asked New Jersey governor and 2016 presidential hopeful Chris Christie about the outbreak, and his thoughts on vaccinations. Christie’s answer was a cynical attempt to “have-it-both-ways,” by sounding “reasonable” while appealing to the anti-science GOP base. After Christie’s remarks, conservatives hopped aboard the anti-vaccine bandwagon. Fellow 2016 hopeful Sen. Rand Paul (R, Kentucky) said that most vaccinations should be “voluntary,” and that a parent’s choice to vaccinate their children is “an issue of freedom. ” Paul also repeated the myth that vaccines cause “profound mental disorders” in children. Fox News’ Andrea Tantaros joined Sen. Paul, claiming that the “proximity” of vaccinations causes autism. Laura Ingraham said she doesn’t think measles is “that big of a deal,” and defended Christie. First it was “e. coli conservatism.” Now this. Anti-science, anti-social conservatism is making us sick — again. The modern anti-vaccine movement sprang up in response to a debunked report by a disgraced and discredited doctor. The science is settled. 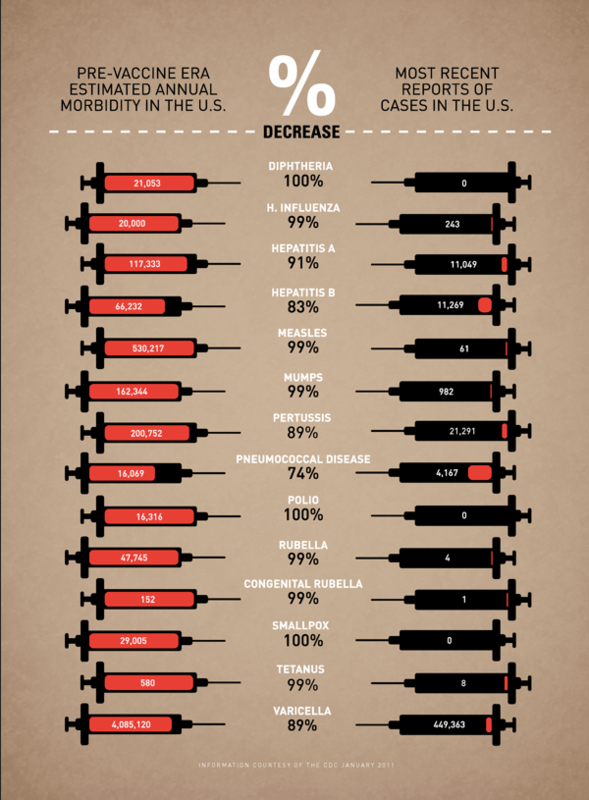 Measles is one of a number of diseases eradicated or practically eradicated in the US, because of vaccination. There’s no debate that the measles vaccine is perfectly safe and effective. Measles, on the other hand, leads to nasty complications, and kills. It’s one of the most infectious diseases around. Ninety percent of those exposed to it will get it, if they’re susceptible. It can remain airborne for hours, exposing everyone in the vicinity. Every person who gets it can spread it to 12 to 18 people. For every vaccinated person who gets it (resulting in a mild case), between 40 to 80 people are exposed. Measles is transmissible and virtually undetectable for several days before the red, painful rash gives its presence away. It’s early symptoms — high fever, cough, and muscle ache — so closely resemble the flu that it’s often initially misdiagnosed. One in 1,000 people with measles will get pneumonia. Between one and three in 1,000 will die of pneumonia, brain swelling, or other complications. The US declared measles eradicated in 2000. Now it’s back, along with other diseases, because the anti-vaccination movement has grown. A recent survey showed that 30 percent of Americans — especially young people — agree with Chris Christie on vaccinations. Wealthy California parents who reject vaccinations, in favor of organic foods and essential oils, are not really the GOP’s target demographic. Evangelical conservatives who reject vaccination on religious grounds, like Donna Holman, Iowa state chair of the Vaccine Liberation, are. “Some people put faith and trust in their medical doctors, rather than put faith and trust in God,” says Holman, who started protesting vaccines in 1972, when she “heard they were using living cells from aborted babies” to make vaccines. Vaccines don’t just protect the person who’s vaccinated. We eradicated measles because 90% of Americans were vaccinated against it. The 10 percent who weren’t vaccinated were covered by the collective immunity — or “herd immunity” — of those who were. The disease couldn’t get enough of a foothold to spread. Now, the anti-vaccine movement is large enough to erode mandatory vaccination advances. Vaccination coverage in 17 states is now below 90 percent, and as low as 86 percent in some. That’s for the disease to gain a foothold and spread. An outbreak caused by parents rejecting vaccinations, like the one in California, puts others at at risk. People with compromised immune systems due to illness, and children who are too young for the vaccine are particularly vulnerable; like three-year-old Maggie Jacks and her 10-month old brother Eli. Parents who decide not to vaccinate their children aren’t just making a choice for their child or their family. They are making a choice for every they and their family come into contact with. Parents don’t just have a responsibility vaccinate their children against diseases. They also have a responsibility to the larger community, and a responsibility for the health of that community. Conservatives love to preach “personal responsibility,” but they reject responsibility to community — or anyone outside of themselves — and as usual the rest of us pay for it.